The signing of the Treaty of Waitangi on 6 February 1840 is celebrated nationwide every year. 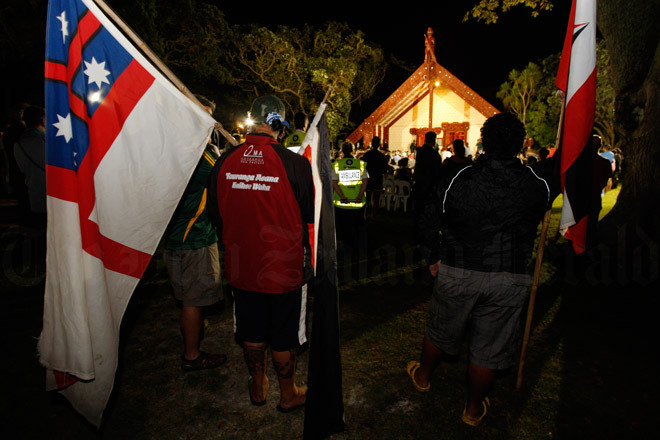 This is the 2011 dawn ceremony at Te Whare Rūnanga on the treaty grounds in the Bay of Islands. The exact significance and intention of the treaty remained a subject of debate in the early 2000s. This was partly because the Māori-language version, signed by most chiefs, was not an exact translation of the original English version. Below is a recent translation of the Māori-language version, which has significant differences from the original English-language version (in the attached PDF).